Many people email me and ask if certain things they are experiencing are symptoms of anxiety. A point I’d initially like to make is that it is highly unlikely that two people have the same symptoms. So there is no reason to compare yourself with anyone else or think you have it worse than others or be concerned that any symptom you are experiencing isn’t mentioned below. The main thing to do is to put all symptoms under the umbrella of anxiety and don’t separate them into individual problems. When my anxiety left me, then so did all the symptoms I was experiencing. I didn’t go about eliminating them individually. Far too many people try and deal and worry about each one separately, which puts far more strain on themselves. There is no reason to continually monitor yourself while wondering what this symptom means or if it’s important. If you are unsure if you do suffer from anxiety, I have listed many of the most common symptoms below. You can also click on certain links for more detailed information on that particular symptom. These are the most common symptoms of anxiety, but there are many more I have come across. So if you can relate to more than a few of the above, then it is very likely that you suffer from anxiety. But don’t despair, you now have a name for what you are experiencing. You also may feel symptoms at different times and with varying degrees. A lot of people say they experience anxiety symptoms more in the morning, others at night. Some say they can feel relative calm for a few days and then suddenly be engulfed with symptoms. This is all perfectly normal, and there is no need to be impressed by any of this or try to unravel the reason why. Anxiety symptoms can flare up at different times for different people and like all emotions, can fluctuate. Do sufferers of anxiety all have the same Symptoms? 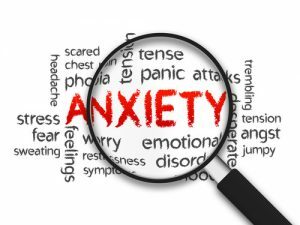 No, anxiety can be a different experience for most people who suffer, as there are so many individual symptoms with this condition and each mind and body will react differently. There is also no need to be tricked into thinking that one symptom is more serious than the next or that if you have different symptoms than someone else, that your anxiety must be more serious. As stated each sufferer usually has a different set of symptoms, depending on many different factors. Why do we initially feel symptoms of anxiety? 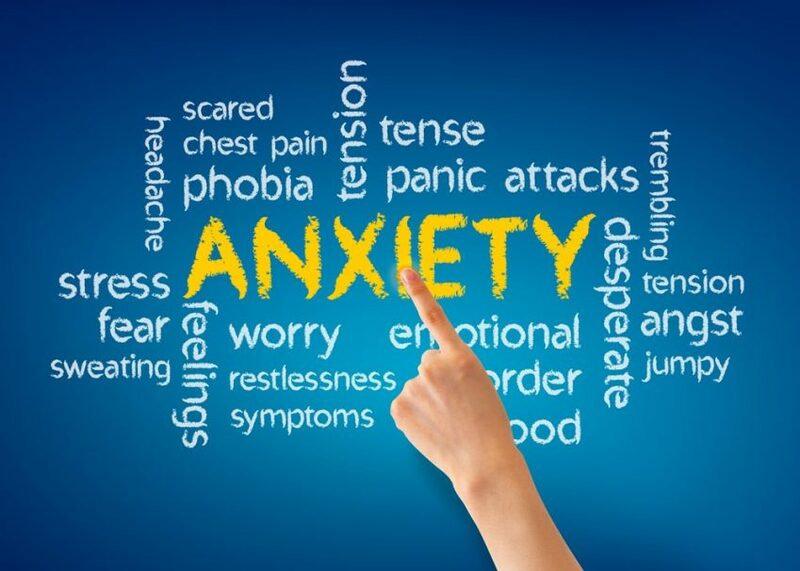 Anxiety does not pick on anyone, anxiety is self-created, usually through a period of stress and worry and then the body exhibits the symptoms of this stress and worry. There are many examples of how so many symptoms are self-created. You may think you suddenly have problems sleeping. But you haven’t got a sleep problem, your mind is too overactive through your constant over thinking of your predicament, and so rest doesn’t come easy. Your muscles aren’t aching for no reason; it is all the stress that you have put on your body that has fatigued them. Your mind is not feeling detached from the outside world because nature decided to pick on you, it is because your mind is exhausted through all the extra worrying and deep thinking you have been doing, the constant concern of the state you are in. Your body and mind are communicating to you through your suffering; it is your mind and bodies way of saying enough is enough and it can’t take what you are putting it through. Suffering is your mind and bodies way to tell you to leave it alone, to let it rest so that it can heal. It is not a sign to think more or to get into some battle with your mind and body; it is not something to defeat. This battle has the opposite effect and tires, stresses and overworks the body and mind further and why so many people find themselves in a constant loop of suffering and an increase in symptoms. You will still feel many symptoms as you are in the process of recovery, but the only way the healing process can begin is when you understand the process, and so you step back and just let it happen. This letting go is what allows the process of healing to happen. This surrender is not some technique to get rid of anxiety; it is a way of no longer recreating your suffering and just letting your mind and body heal without creating more. This is why no overnight cure exists, as healing takes time, but it is usually through a misunderstanding and a desperate need to step out of the condition instantly, that keeps people in the cycle of suffering. We stay in a cycle through a lack of knowledge and understanding. We unknowingly start to do the opposite of what we should do and end up in a loop of recreating the anxiety and thus never being free of it. I was about as bad as they get and there are very few symptoms above that I did not feel. But I did fully recover and so can anyone with the right help and information, I have seen it too many times and helped too many people to say otherwise.